By Dr. Xiong Ying Chief Architect of HUAWEI CLOUD Platform. Public cloud computing services have changed the way IT infrastructures are used. We can use IT computing, network, and storage resources more flexibly, efficiently, and cost effectively. Migrating data centers to the cloud solves the problems in resource utilization efficiency, especially for Internet enterprises. Following the decade plus of development, cloud computing and public cloud services are undergoing qualitative changes as ever-growing numbers of enterprises make the move to the cloud. Each move has helped service providers learn how to refine processes and improve, which in turn has driven business innovation and intelligent adoptions. Enter the Cloud 2.0 era with the needed accelerations in digital transformation for enterprises. In this new era, how will cloud computing technology develop and which areas should be focused on in technological innovation? Prepare for your walk-through in the coming paragraphs. If Cloud 1.0 is an era driven by infrastructure resources, Cloud 2.0 is the era of cloud native applications, driven by data and AI platforms. From a technical point of view, Cloud 1.0 focused on applications that required little or no modification to make the move. Virtual image packaging and virtualization technologies were used to move applications to the cloud. 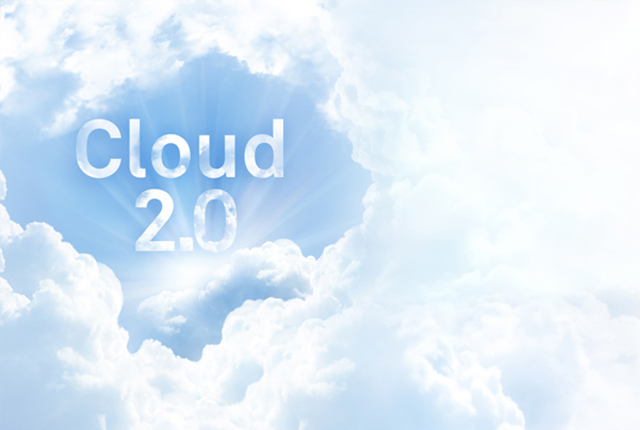 Cloud 2.0 focuses on new services and applications. The new step in tech uses the microservice framework and cloud design principles (such as Design for Cloud), with the help of containers, serverless, big data, and AI deep learning utilities, to yield the new-gen cloud application and architecture with high degrees of automation baked right in. The highly autonomous cloud application and architecture frameworks leverage the full benefits of cloud computing, accelerating service innovations with wide-open improvements in flexibility and smart-enabled focuses. These developments will bring many new trends, starting in the market and moving into new levels of portability and efficiency in orchestration and management systems. First, in terms of market, there are many competitors in the fierce cloud computing market. In addition, personalization requirements continue to mount as enterprises want to adopt to the particulars of their needs and profiles. In terms of the cloud architecture, technologies such as dedicated cloud and multi-cloud management/coordination, including cross-cloud account management, billing, security management, and monitoring, can all be orchestrated with single-pane-of-glass convenience. Multi-cloud deployment allows organizations to deploy complex workloads in different clouds and maintain independent operation of each cloud environment. This level of technology, integration with systems, and supercharged efficiency will dominant developments in cloud computing in the next few years. To avoid vendor lock-in, enterprises are adopting multi-cloud profiles with unified management capabilities. They also require worry-free migration of their applications across clouds. This promotes the development of open platform and technologies featuring the needed portability for applications. We have seen the development of open source technologies and communities such as Docker, Kubernetes, Istio, Spark, Tensorflow, and MxNet. Cloud computing suppliers are actively involved in the development of such communities to better align with the scopes of these ecosystems. For example, container applications developed using microservice frameworks can be deployed, run, and managed using Kubernetes container orchestration management systems on all major public cloud platforms. For example, the AI model trained by the Google Tensorflow platform can run on other AI cloud platforms that support the Tensorflow model, including HUAWEI CLOUD. In the Cloud2.0 era, the cloud infrastructure is also changing. As the technical requirements in online gaming, scientific computing, natural language processing, voice technology, image, video, knowledge maps continue to mushroom, general-purpose computing server resources are becoming strained with the intense computing requirements of these applications. As a result, the design principles in applications have shifted from using (dedicated) resources commodities for each application to computing resources comprised of heterogeneous computing (GPU/FPGA/TPU) resource pools to meet the intensifying requirements of specialized applications and workloads. In addition, almost all large cloud suppliers are building their own high-end servers with various special hardware plug-ins to accelerate cloud services and meet the requirements of complex applications at enterprises of all sizes. This is another development trend in the cloud computing industry. In addition, cloud resource management and application scheduling have developed towards edge computing nodes, bringing forth new concepts in the cloud infrastructure and architecture to include edge cloud. Edge cloud is a product of the Cloud 2.0 era to meet the service requirements of nearest-node computing. Many services and applications need to perform real-time computing or real-time data analysis (such as image processing) in local or near-edge locations to achieve minimal delay and avoid network bandwidth and other problems. In terms of architecture, edge cloud is an extension of the central cloud. It enables the central cloud to manage edge node resources and schedule cloud applications to edge nodes whenever needed. In the Cloud 2.0 era, a cloud computing network not only comprises a few ultra-large data centers, but the entire mesh network consisting of big data center and edge nodes. The new era is descript of wide-open convergence in intelligent cloud, edge cloud, and other technologies. AI is on just about everyone’s lips with all the breakthroughs in deep learning algorithms. The wide application of AI technologies has helped propel cloud computing into the new era as well. However, a single AI model and algorithm are not enough. AI learning and reasoning models need to be distributed on edge nodes and the central cloud, which promotes the development of Federated AI and device-edge-cloud collaboration technologies. Google, Microsoft and Amazon have invested heavily in this area. AI has even been adopted to O&M with launch of AIOps. The Oracle database cloud service proposed the concept of the Self-Driving Database Cloud. The new era of cloud computing is the era of accelerated cloud-based digital transformations in which increasingly more complex applications will be moved into cloud. For most enterprises, this is a huge undertaking. The application architecture needs to be reconstructed and many cloud services need to be used. This necessitates development and innovation of end-to-end cloud solutions that allow enterprises to smooth out their move to the cloud and realize the ultimate goals of their digitalization. Here we see the development of data migration, hybrid cloud network security, public/private cloud service collaboration technologies, and cross-public/private cloud middleware technologies. In addition, smoothing out of development, testing, commissioning, deployment, and release of cloud applications will also become more important. In the new era, changes in user requirements, service models, and market competition will drive the rapid development of cloud technologies. Many innovation spaces are provided in fields such as multi-cloud, edge cloud, heterogeneous computing, cloud native application architecture, container, serverless, and AI technology and platform. HUAWEI CLOUD is dedicated to innovating the technologies and services needed to bring the new era forward with its accumulated technical prowess from decades of heavily vested R&D in networks, hardware, storage, terminal, edge, and connectivity products. Find out more about how HUAWEI CLOUD is leading the new era of cloud computing with the technologies, services, and solutions needed to succeed in the ever-shifting landscape. For more information please click HUAWEI CLOUD, register now and get $50 USD voucher! http://www.huawei.com/za/ | Huawei Network Carrier Press Office.